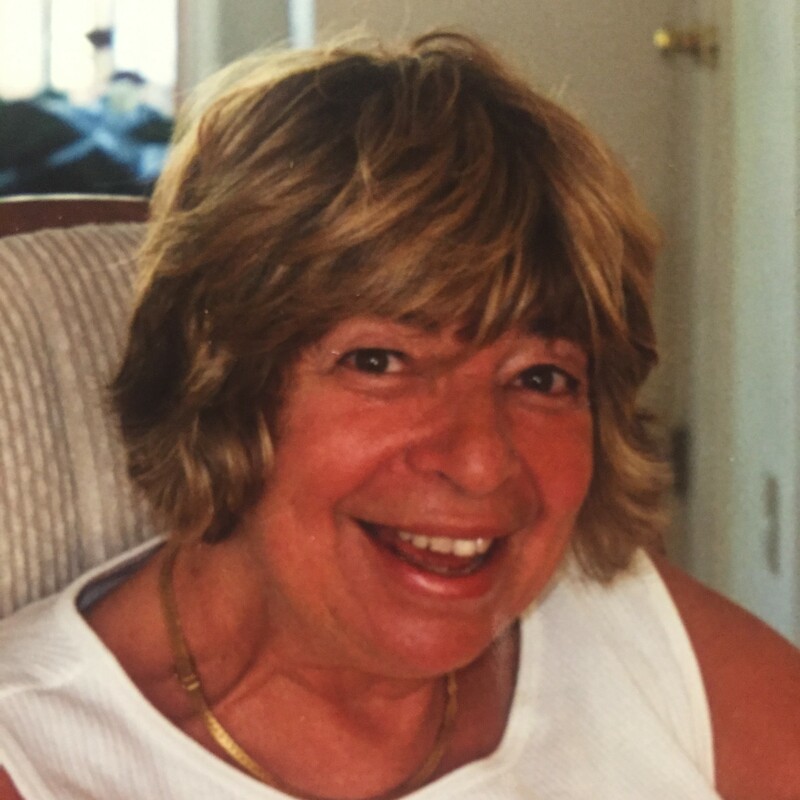 Pesce, Elaine T., 75, died Sunday, October 22, 2017 at Rhode Island Hospital. Born in Providence, a daughter of the late Herman and Rose Riffkin, she was a longtime resident of Warwick. She was the director of Channel One, a drug abuse prevention program for kids in Warwick. In 1975 she established VOWS, Volunteers of Warwick Schools, a program which today provides over 1000 volunteers in schools throughout the City of Warwick. Elaine also was active in local politics. She was a devoted dog lover who volunteered at local animal shelters. Loving mother of Peter Pesce and his wife, Christine, of Ridgefield, CT and Allen Pesce and his wife, Fran, of Scituate. Dear sister of the late Steven Riffkin. Cherished grandmother of Rachel and Maxton. Funeral services will be held Tuesday at 1:00 p.m. in SHALOM MEMORIAL CHAPEL, 1100 New London Ave., Cranston. In lieu of flowers, contributions in her memory may be made to the animal welfare charity of your choice. Shiva will follow immediately after burial. You will look back on memories you forgot you had, And at times you’ll smile even though it hurts. A mother is a special women that no one can replace. but soon there will be peace when you remember the smile on her face. She will be your guardian angel through the rest of your life, helping lead you on your path in life. A mother’s love is like no other in the world, a grandmother’s love is double that and she’ll always think of you Allen as that little boy, and Rachel that sweet girl. She’ll rest up in heaven and now free of pain and as much as it hurts God has called her home. A question we ask over and over again, which has no answer. Even though you can not see her and you wish you could, she will always hear you and live deep in your hearts. I believe a mother never forgets the greatest loves of her life, a son, a granddaughter and his loving wife. I was so shocked to see this, I did not know she was sick. My prayers are with you all. May God comfort you in your time of sorrow. I know how much it hurts to say good-bye. I hope your memories of happier times with soon replace the pain and sorrow your heart feels now. My condolences to the entire Pesce family. My sympathy to Allen and Peter and their families. It’s a big loss to lose your mom. I will always remember Auntie Elaine. My sincerest sympathy to Peter and Allen and their families, and especially her grandchildren, Rachel and Max. I have wonderful memories of sharing stories about our boys going back to our days living at King St., then moving on to Vancouver Ave. Elaine inspired me to get involved in the community and to run for office. Her wit, joy of life, compassion for the less fortunate and work to better the lives of children made her a treasure to know. Miss you my friend. I’m so saddened to hear of Elaine’s passing. Elaine was an extraordinary woman and I cherish the memories we’ve shared. My deepest condolences to the entire family on your loss. Dear Peter and Alan, I was so very sorry to read of your Mother’s passing. My memories include the joy she experienced showing you two off as babies and bragging about you when you were men. You were the lights of her life . Becoming a grandmother must have been pure bliss for her. Your mother touched many, many lives in her professional capacities and in her personal life. Her generosity of spirit and pocket knew few boundaries. Each life she touched has their own story of her acts of kindness. Her eyes twinkled with laughter, naughtiness and life. She taught me by example the meaning of a “mench”. It was a privilege to know her and call her friend. Peace be with you Elaine and to your beloved boys and your family. I know perpetual light will always shine on you.